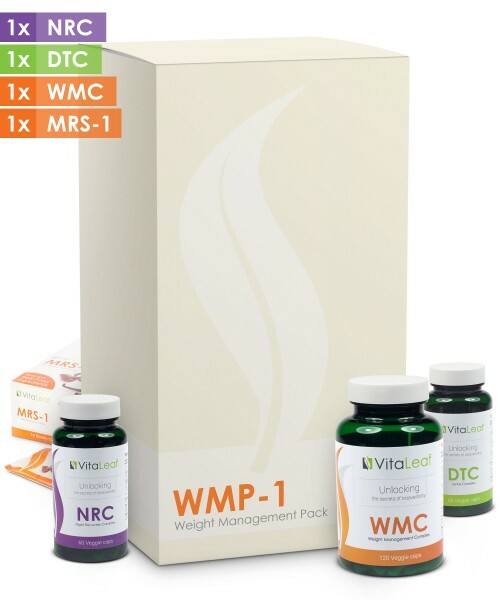 The VitaLeaf WMP I is an efficient combination of 4 weight management formulas that will suppress your appetite, sugar cravings, block the formation of fat cells and increase thermogenic (fat-burning) activity in your body. This will improve both your physical and mental energy, which is the opposite of being on a strict low-calorie diet. We've also included nutrients which will promote digestion, detox and gently cleanse your body. These carefully chosen nutrients used in our formulation will also release you from daily stress, give you better sleep, balance your hormones, enhance your mood and improve overall health. VitaLeaf's Aloxyl-7.4™ used in all WMP-1 formulations increases nutrient absorption and triggers the bioavailability of other nutrients. WMP-I supplies a combination of weight management formulas and products in one convenient pack, each designed with a different function to target the factors that may contribute to an unhealthy weight. DTC: Take 1 capsule twice a day on an empty stomach 30 minutes before a meal with a full glass of water. For better effect combine taking 1 tablet of DTC along with WMC. 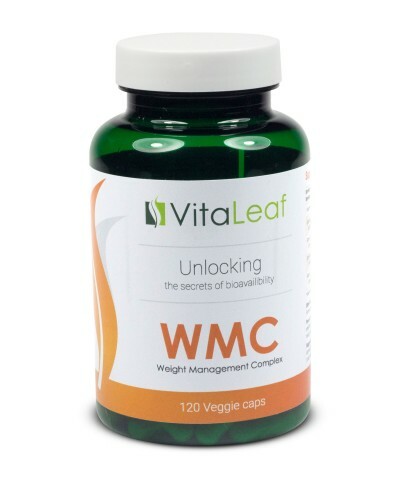 WMC: Take 2 capsules twice a day on an empty stomach 30-45 minutes before a meal with a full glass of water. For better effect combine taking 2 tablets of WMC together with DTC. 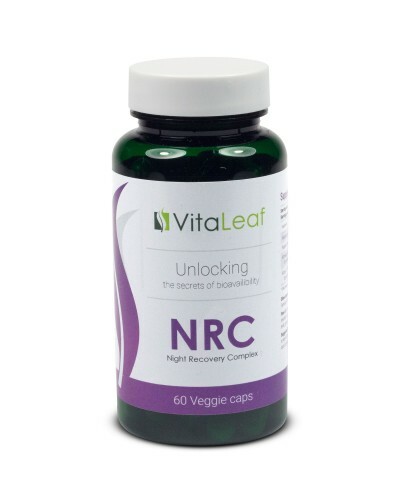 NRC: Take 1 to 2 capsules once a day 1 hour before going to bed with a full glass of water. Best results are achieved by the second or third night. 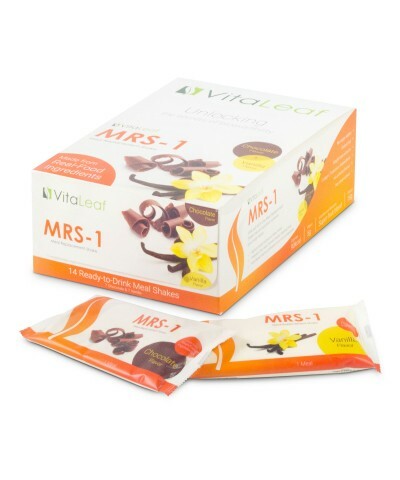 MRS-1: Mix a portable and easy to prepare MRS-1 pack with 8 oz. of water in a shaker or blender. You can add your favorite fruit or vegetables if you like and blend for a couple of minutes until the drink achieves a smooth consistency. MRS-1 should be consumed on a daily basis or at least 4 days a week to accelerate your fat loss. Otherwise, it won’t help your body and mind to the fullest extent. Aloxyl-7.4™ Phytocomplex is made from pure Arctic Norwegian kelp (Ascophyllum Nodosum) according to the BGS Labs advanced biological treatment processes. Norwegian Brown Algae is very efficient a.. This unique herbal formula is designed to support liver health, detox, and potent antioxidant activity. 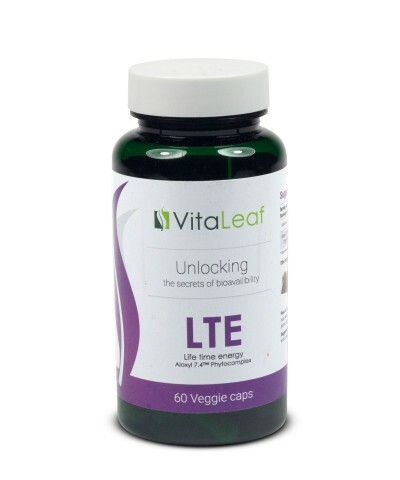 The VitaLeaf Detox complex is a proprietary blend of herbs that have been selected for their pro.. This unique herbal formula is designed to support restful sleep. Attaining deep and sustained sleep is fundamental to your health and well-being. NRC utilizes natural ingredients formulated to encoura..